Andrew J. Hoffman graduated from Wabash College with a degree in Mathematics and Philosophy in 2010. 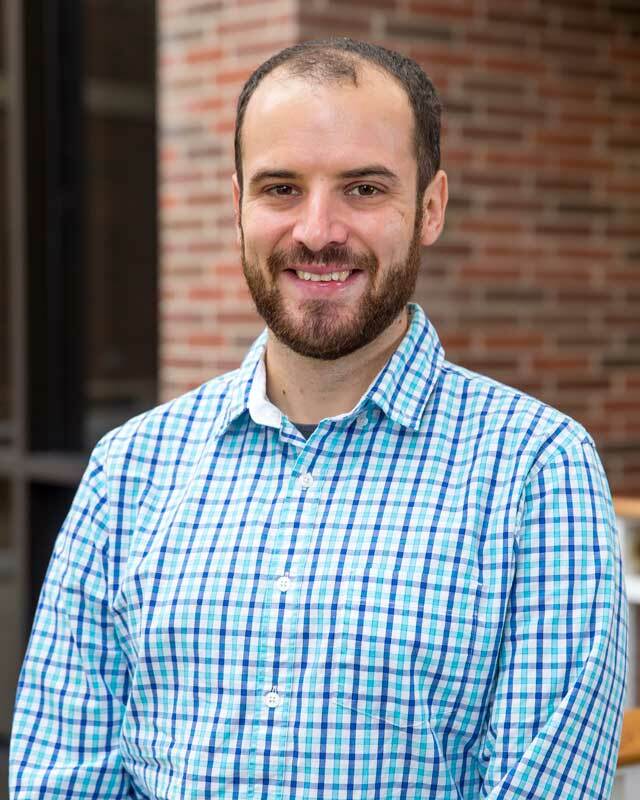 He has previous experience working as a graduate teaching assistant at Purdue University in the Departments of Mathematics and Curriculum & Instruction. Hoffman advanced his education at Purdue University and obtained a M.S. in Mathematics and a Ph.D. in Mathematics Education. His responsibilities include teaching courses in mathematics and statistics, supporting future mathematics teachers, and fostering a community of students interested in mathematics. He resides in Fort Wayne with his wife, Angie. Hoffman has twice traveled to Tanzania to help lead study abroad programs through Purdue’s College of Education. In addition to travel, he enjoys photography, playing music (drums and piano), sprint triathlons, and working on his old house.